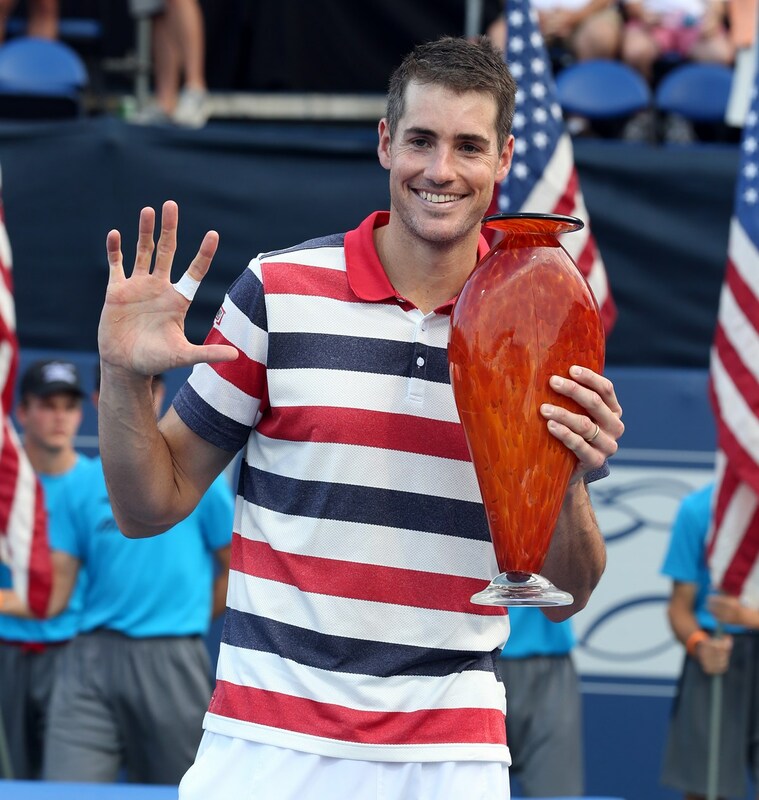 ATLANTA, July 29, 2018 – John Isner needed three sets this time to defeat fellow American, Ryan Harrison in the finals of the BB&T Atlanta Open. 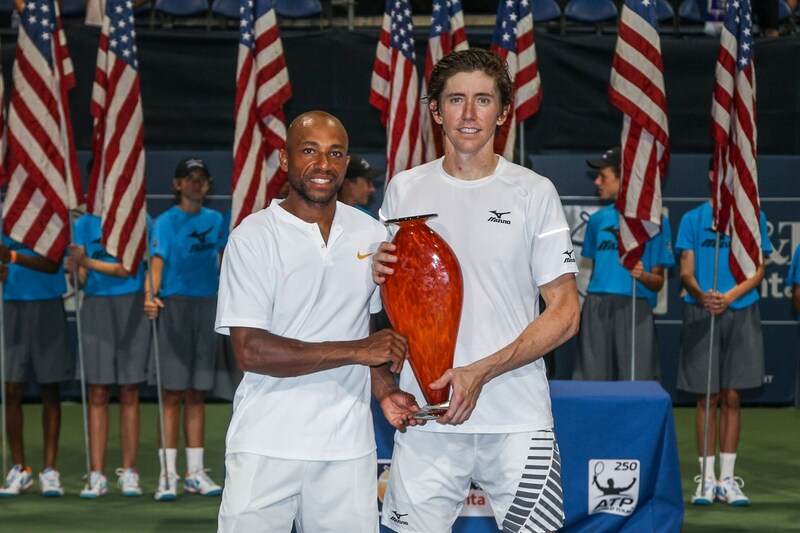 Taking stadium court of the BB&T Atlanta Open had a similar feel to last years final. Both players served well in the first set, making it nearly impossible for either one to break serve. Throughout the set, Harrison’s return of serve was strong, which helped him to break Isner at 5-5. This gave Harrison the lead of 6-5. Isner started showing signs of fatigue, which helped Harrison keep momentum to hold his service game quickly and claim the first set 7-5. Starting the second set Isner again appeared sluggish and tired, but managed to hold in a close service game, where Harrison had multiple chances to break serve. They both held serve until 3-2 where Isner broke for the first time of the match, which gave Isner a little more confidence while also changed the momentum. This gave Isner the lead of 5-2. Isner had Harrison on his toes, running him corner to corner, but that didn’t keep Harrison from fighting. Serving an ace on set point, Isner won the set 6-3. Going three sets! Isner managed to break in the first game the third set, getting the lead, 1-0 which seemed to inspire Isner even more. From then on, both players served well under pressure and held but Isner already being up a break made it difficult for Harrison. Isner quickly held serve at love, to close out the match, remaining the BB&T Atlanta Open champion for the fifth time in nine appearances. Final score: Isner defeats Harrison 5-7, 6-3, 6-4. Although the opening point of the contest was a Harrison double fault, he immediately came back and delivered four big points to win the opening game. The singles runner up came to play and any signs of low stamina were not evident in his game. The first set began with easy holds by all four players. At 3-3 on the serve of Rajeev Ram, fans first tasted the tense no add scoring boasted by the ATP world tour doubles matches. Ram and Harrison combined for a great point and held serve to 4-3. Monroe’s subsequent service game was absolutely dominated by Ryan Harrison. First a great volley and then a dazzling backhand return put the serving team in a 0-30 hole. While Monroe fought back to push the score to 15-40, his partner John-Patrick Smith dumped a high volley into the net and gave the match’s first break to Harrison/Ram. Harrison easily gave the all-American team a one set to love lead by holding his serve at love. While the opening minutes of the second set had multiple games go to deuce/breakpoint, all four players held serve both times to result in a 4-4 tie. Smith’s service game was once again pushed to deuce, and it was a daunting task to have to serve to Ryan Harrison, who was obviously the match’s best return man. While Harrison managed to hit the ball back fairly aggressively, a cheeky Monroe drop volley gave the hold Smith/Monroe. Towards the end of the second set, Monroe and Smith changed their strategy by sending both players back on the baseline during return games. Neither Harrison nor Ram were phased by this tactic and they continued to have easy holds. After 12 consecutive holds, the second set would be decided by a seven point tiebreaker. A wild forehand sailed off the racket of Ryan Harrison and gave the “mini-break” to Monroe/Smith. However, a Monroe cross-court volley clipped the net and gave the break right back. Two great points were played on Harrison’s serve at 4-5. They were split and gave Monroe a chance to serve for the second set. Nicholas Monroe’s serve was big and the set was his and smith’s. What better way for the 2018 BB&T Atlanta open to conclude than with a ten point match tiebreak? The BB&T Atlanta Open has welcomed more than 330,000 fans to Atlantic Station over the past eight years, establishing itself as one of the top ATP tennis events in the US.